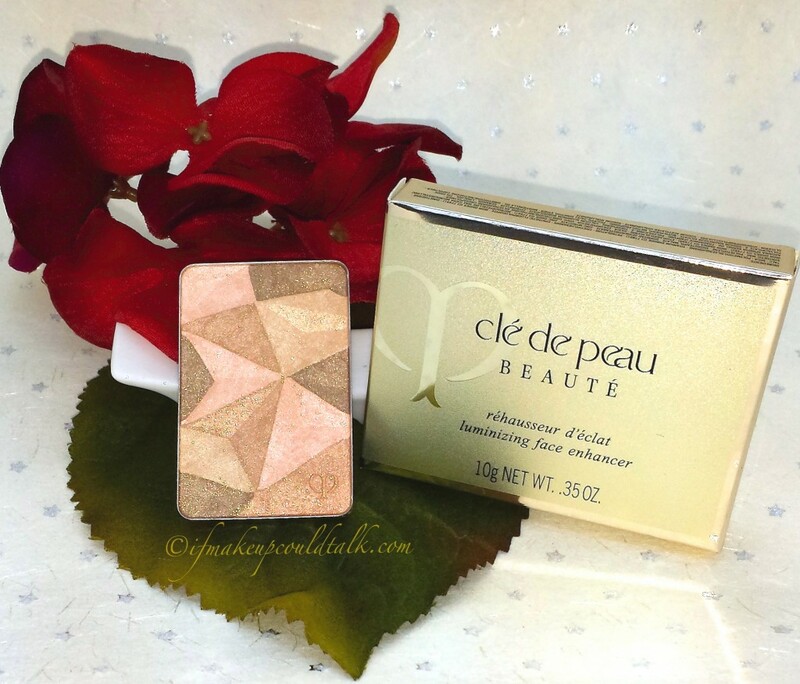 Cle De Peau Beaute 13 Sand Beige Luminizing Face Enhancer Gets it Right. 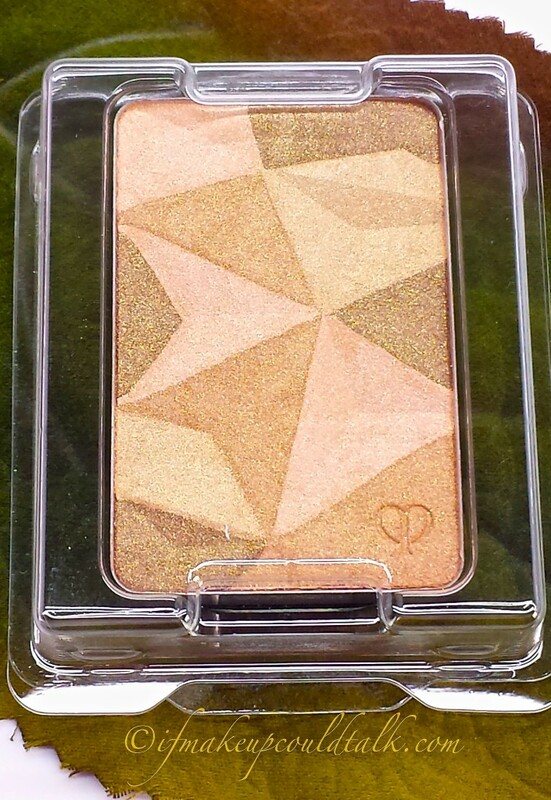 Cle de Peau Beaute 13 Sand Beige Luminizing Face Enhancer. The spectacular four-color design is what sets this highlighter apart from others on the market. A color blend of bronze, tan, beige and peach meld beautifully together to create a warm complex subtle golden shade. This particular color definitely suits warmer skins more so than it’s paler/pinker sister, 14 Delicate Pink (reviewed here). The sophisticated peach pearl really does impart a smooth radiance, which dare I say, looks quite natural. My preferred method of application involves using a slightly dampened dense brush (Tom Ford Cream Foundation Brush) and sweeping the brush in a downward motion (not swirling), making sure to pickup all the colors in the pan. 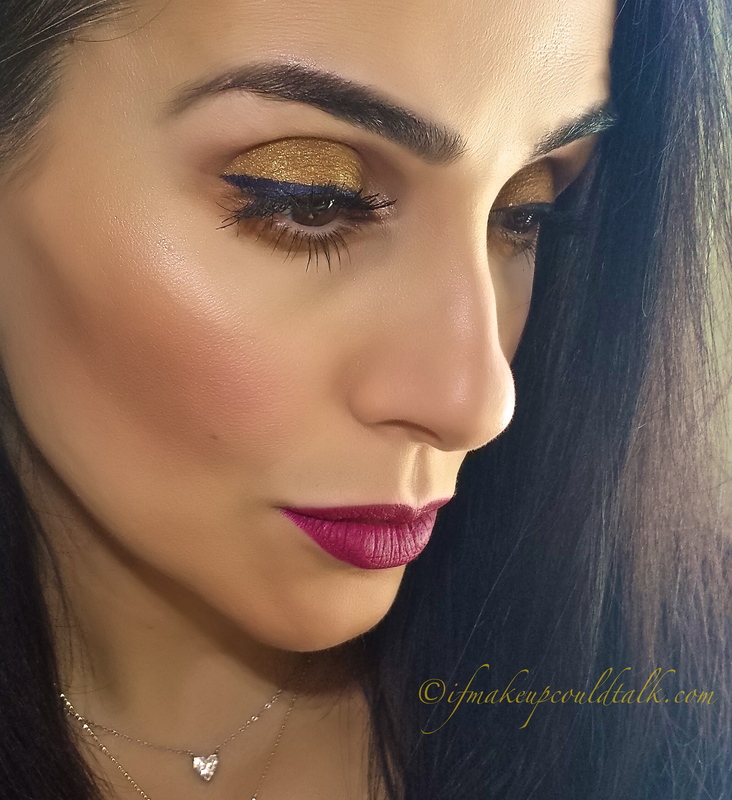 I lightly tap off any excess (which should be minimal) and then gently apply the color to the tops of my cheeks using the same downward motions on the targeted areas. The dampened conditions keep the soft powder from kicking up, intensifying the color and increasing the longevity (lasts all day). Cle de Peau Beaute 13 Sand Beige Luminizing Face Enhancer substantial amount. 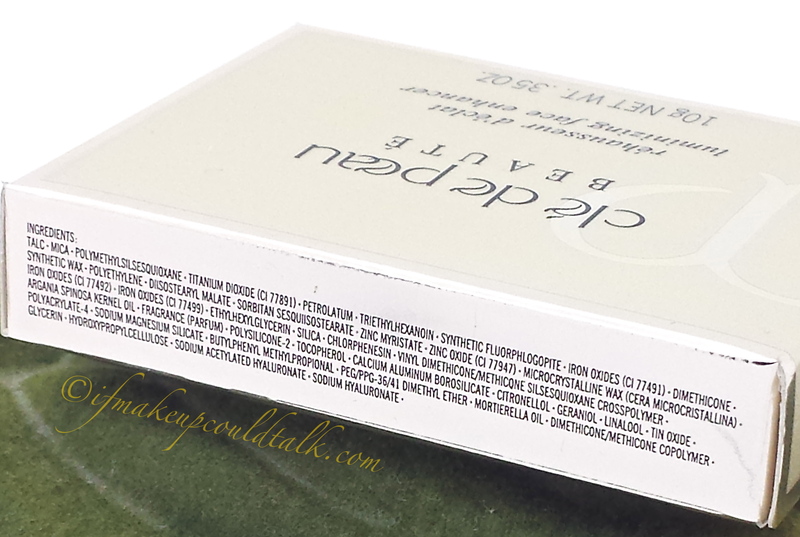 Cle de Peau Beaute 13 Sand Beige Luminizing Face Enhancer in the refill packaging. 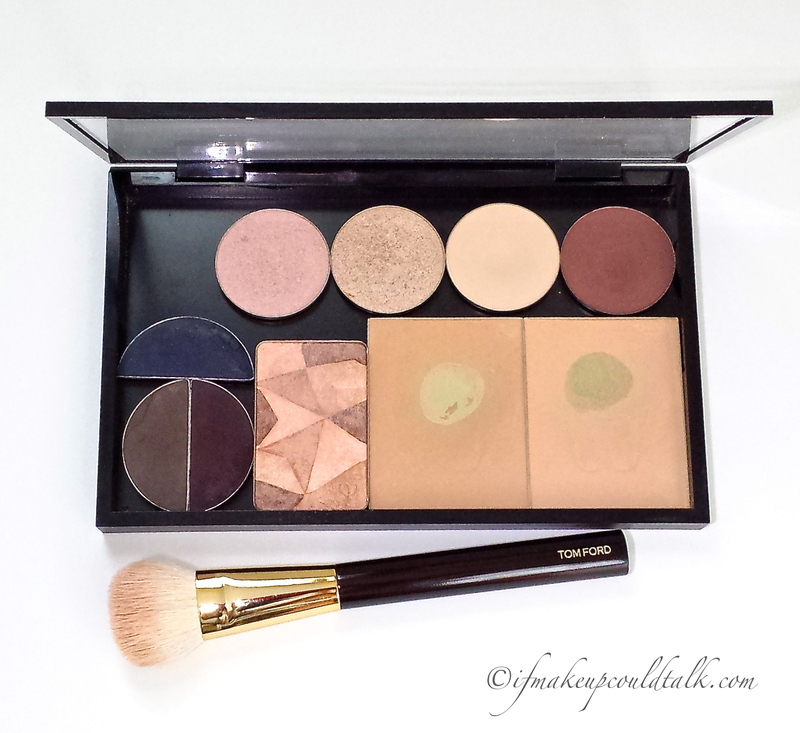 Foundation, Cle de Peau Beaute 13 Sand Beige, and eyeshadows housed in my MAC Palette with Tom Ford Cream Foundation Brush. The amount given is quite substantial; the pan itself is rather long and deep, making this one time purchase a lifelong investment. As you may recall, Cle de Peau does sell an accompanying plastic compact for an additional $45. 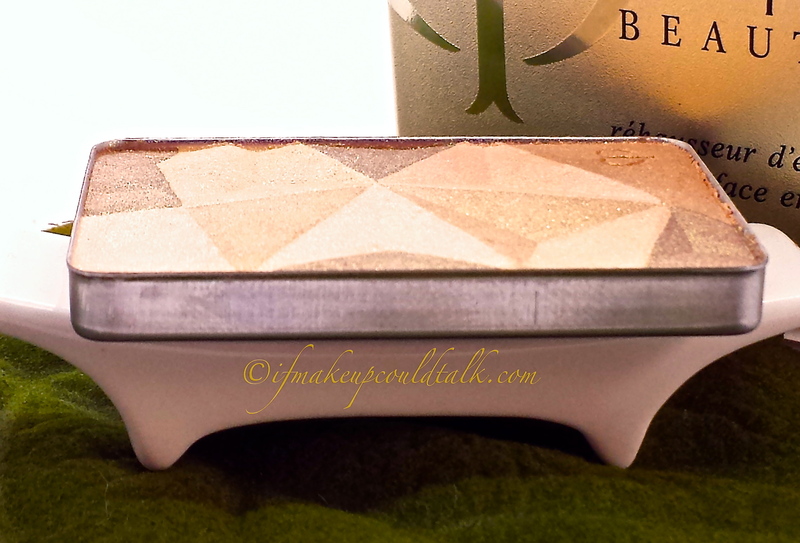 This time around, I opted to purchase the refill option (fool me once people) and place my golden goddess in my MAC palette, which incidentally, costs only $8 and houses my powder foundations, highlighter and eyeshadows. Cle de Peau Beaute 13 Sand Beige Luminizing Face Enhancer ingredient list. The ingredients of this gem are mostly artificial. The addition of Argan Oil and Mortierella Oil are nice touches, but the overall components are made from your garden variety of silicones, some unpronounceable substances and mineral oil (5th ingredient which I suspect is responsible for the smooth application and feel). This formula is manufactured in Japan and thankfully, paraben-free. Cle de Peau Beaute 13 Sand Beige Luminizing Face Enhancer worn on the tops of the cheeks and bridge of the nose. As you can tell from the above photo, the overall effect is unbelievably smooth. The texture of Sand Beige is perfect for those individuals who work in a professional environment and require a subtle finish, for those who prefer a contained pearl finish rather than shimmer/glitter, and for those who demand beautiful presentation to match cost. 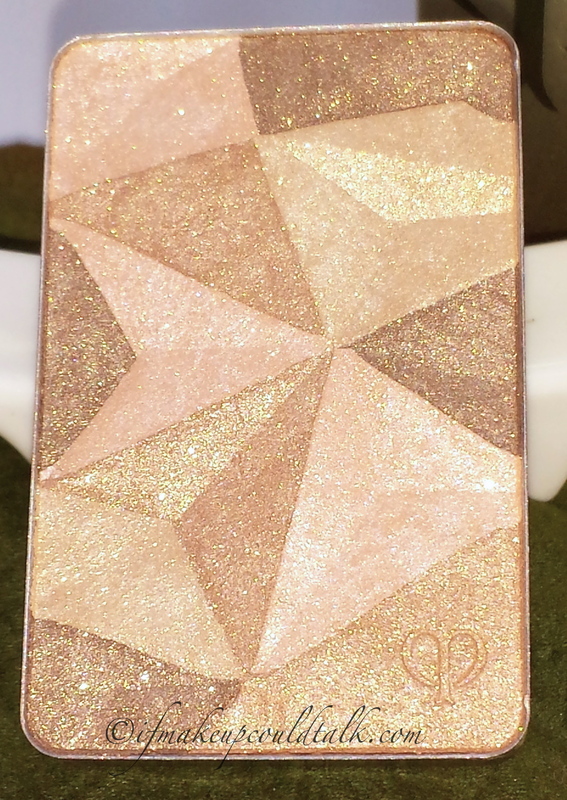 Makeup would tell you Cle de Peau Beaute 13 Sand Beige Luminizing Face Enhancer is a wonderful highlighter that performs as promised. The smooth formula, subtle warm golden shade, sophisticated finish and substantial amount has restored my interest in this brand. This goes beyond pretty, and borders on necessary…at least for me at the present moment. 🙂 Will this stop me from investing in other brands? Come now–as we speak, Kjear Weis Radiance Highlighter is on its merry way to my home–a lemming I totally blame on Maeve from Lilting-grace.blogspot.com (she did a fabulous review on KW cream blush here). Until next time, be well, stay safe and be happy. Sign up for Saks e-mails and get 10% off your next order! Plus enter for a chance to Win a $1,500 Shopping Spree. *10% discount code will be e-mailed to customers after they sign-up for Saks e-mails.